​Have you ever felt so overwhelmed by the pressures of daily life that you could hardly catch your breath? Or like you were constantly running to catch a moving train, only to find out that you’d missed your stop? One of my favorite stories in the Bible is of Jesus’s visit to Mary and Martha. I can relate to both sisters in different ways. I have a Mary heart and love to sit at His feet, but at the same time, I have a built-in Martha “get it done” personality, and both struggle for equal expression. I’m so appreciative of the fact that Scripture (Luke 10:38-42) says Martha was doing what she “had to do.” It wasn’t that she was wrong for occupying her time with tasks to host Jesus and his disciples, but rather, it was her stressing and worrying that led her to be counseled by Jesus. The problem comes in when worry occupies that place that faith should live. That’s good for me to remember and to keep in perspective. Not long ago, I was sharing with a friend about the pressures I felt weighing down on me, suffocating me, threatening to strangle every last drop of joy out of me. I rapidly fired the high-level demands that occupied so much of my attention and so many of my thoughts, and left me bereft of energy and peace: working a full-time job which at the time included training a new employee in addition to completing the normal patient reports and insurance pre-authorizations, managing the workflow for an outside project I’d been asked to consult on, co-leading a group study, working on manuscript edits for a book of mine that will be published in a few months, blogging on my own site as well as three other ministries, redesigning my website, preparing for a speaking engagement in a few weeks, mentoring a group of young writers, helping several other authors with their book launches, supporting a new young sister church wile attending our usual established church, attending my children’s extracurricular events while also managing to feed them and keep pace with their world, and maintain our household. That was just a gross overview without even considering all the underlying details, or anything else that didn’t hit the overview radar. As we talked, I shared with her that between all the “must-do’s” and “should-do’s,” I felt completely overwhelmed to the point of tears. There were hardly enough hours in a week, much less in a day. She suggested that I cut out any nonessential activities, and yet I didn’t know where to begin. Even the weekend was full. Saturday morning I had a meeting all morning, then church in the afternoon, and I’d promised to be at the sister church we support to take a homeless woman there on Sunday morning before meeting to encourage another women prior to my Sunday night home-group. I love that there was a place for both Mary and Martha, just no place for stress and worry. I can be productive and task-oriented, but my priorities need to be in place, and my first thing needs to stay first: spending time in His presence. I’m so thankful that He desires that from me. It's a gift--not a reprimand. 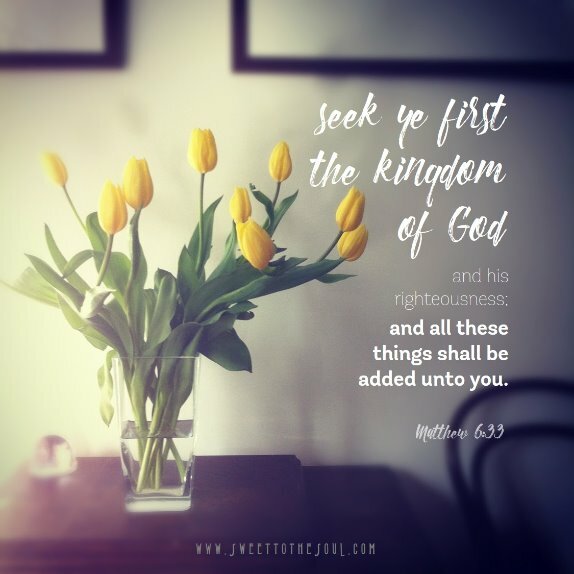 ​As I seek first the kingdom of God, and time in His presence like Mary did, then He will direct my paths and make clear what needs to get done and how to do it, to fulfill my Martha longings to serve well. 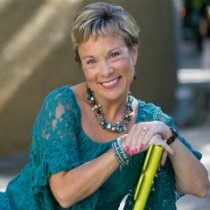 ​Author, speaker and board certified clinical neuropsychologist, Dr. Michelle Bengtson is also a wife, mother and friend. She knows pain and despair firsthand and combines her professional expertise and personal experience with her faith to address issues surrounding medical and mental disorders, both for those who suffer and for those who care for them. She offers sound practical tools, affirms worth, and encourages faith. Dr. Michelle Bengtson offers hope as a key to unlock joy and relief—even in the middle of the storm. You're not alone Liz. Keep those first things first and it will help. Because of Him, #HopePrevails! Thank you Michelle for sharing this wonderful encouragement with us today!